City Dwellers – green your roof! The Alive Structures team includes committed environmentalists who have a practical plan to improve air and water quality, reduce energy dependence, make open green space and natural habitat for wildlife, and stimulate new educational and economic opportunities in New York City. We are architects, certified green roof installers, landscape designers, and educators. We’re a New York City based, woman owned business dedicated to working with local materials. We have relationships with local nurseries where we purchase our plants, and a plastic company in Long Island City (where we’re based) to source our recycled plastic drainage matt and root barrier. We have a focus on native plants and a background in biology conservation and landscape design. 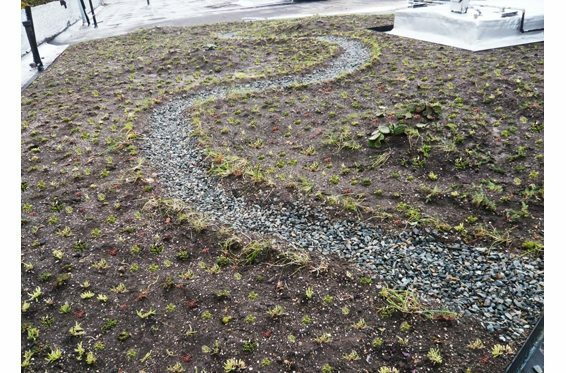 We have successfully incorporated native plant groundcovers and wildflowers on many of our green roof installations and will be installing a 5,000 sq. ft. green roof farm in the spring. 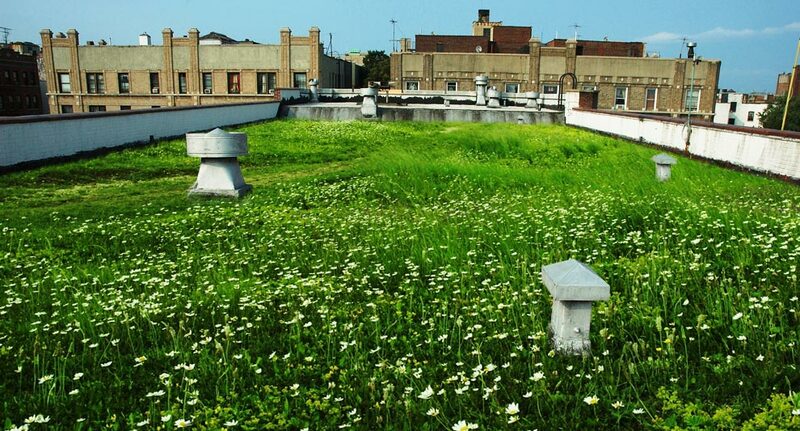 Large Scale green roof projects offer an opportunity to make a significant environmental and economic change within our immediate area. That’s why Alive Structures is reaching out to local industrial companies with a special financial incentive for any green roof over 5,000 sq. ft. We also do significant work on ground level where acres of land throughout this city could be converted to natural habitat gardens or food productive land.